Google Alerts was released in 2003 as a part of Google’s mainstream foray into the business sector. The service detects and alerts you to relevant content changes whenever they are noticed (nowadays, almost immediately!) by Google’s spiderbots while scouring through the web. 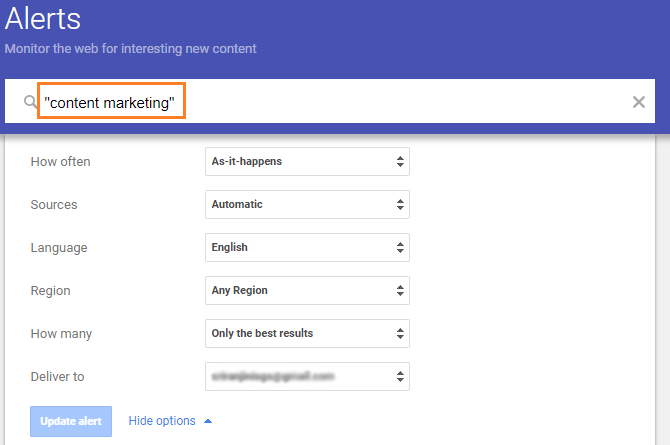 Predominantly user based, this particularly handy tool from the house of (more like a castle) Google allows its users to choose certain keywords or search terms, and can notify you whenever these terms or keywords pop up on the web. To put it simply, Google Alerts is like having an always-on APB put on a set of words or terms that interest you. Then again, as a SEO enthusiast or as a website owner who really knows his/her game, you may have already heard of it. 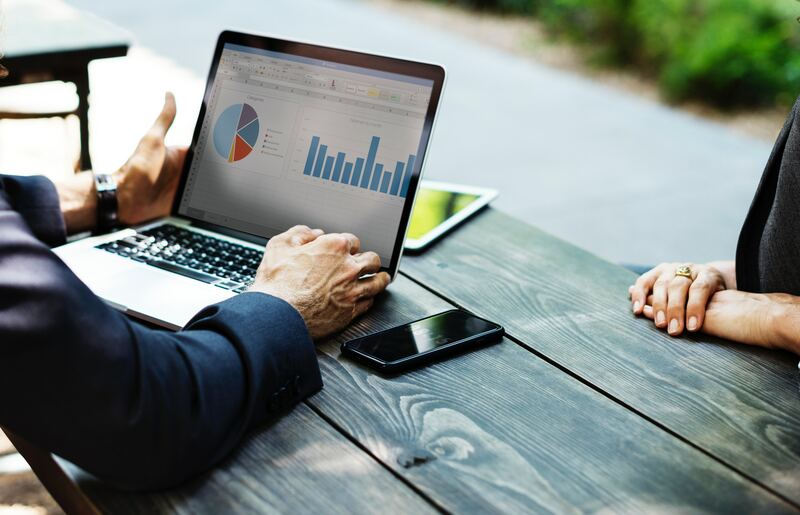 What you didn’t know is that this awesome tool that helps you keep track of things on the web, can, also, provide great support in making your business grow. So, how does it work? How can you make use of it? Well, you’d have to read on to find out more. Goodwill and brand value are two fundamental pillars of any business, and what Google Alerts does is help you build and strengthen both. 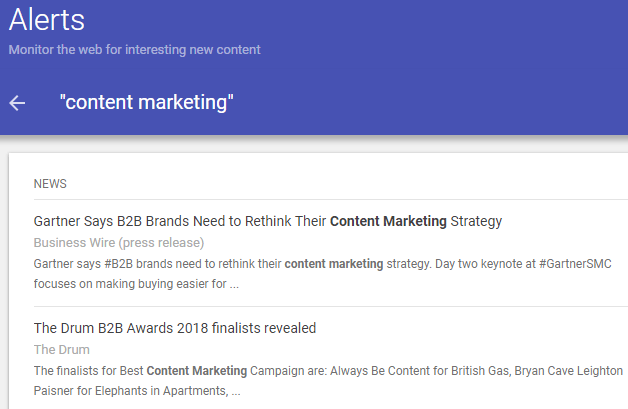 With Google Alerts you can create awesome content too, as it brings awareness on what trends in your industry. How does it do that? Well, it’s quite simple, really. In the modern world, perception is everything. And more than often, customers will check out a business online before they decide to try it in the real world. While this allows for a better and far wider reach for any business, this, also, means that one bad comment or customer review is enough to ruin everything you’ve worked so hard to build. What’s the remedy? Google Alerts! By using this service, you’ll be able to track and monitor every mention, post, and article related to your business or any other thing that you want to be notified about. This, essentially, shows you what the world is really saying about you and your business, in all honesty. These feed-backs that you’d rarely receive in the real world, consist of opinions that can help you weed out the “wrongs” and enhance the “rights”. Furthermore, you can also use Google Alerts to see what your competitors are doing. Whether they are making a new product, having a press conference or making it to the top in any other way, Google Alerts helps you be one step ahead, by keeping you in the loop regarding plans, events and anything else that matters to you. As you are using Google Alerts, keep in mind that your competitors might do the same. Just be a bit wary of this little fact, will you? The beauty of this game is that everyone has access to the same tools. What differentiates you from your competitors, is your willingness to get to know them. It’s free and painless to get your Google Alert system up and running, and you can do it even without having a Gmail account. Yes, you heard that right! Follow the simple steps outlined below, and you too can have your own “online-spy” in no time. Step 1 – start the process by going to https://www.google.com/alerts where you will be asked to create your alert system based on specific search terms or keywords, such as your name, the company’s name or your products (it can be whatever, really). Note: As mentioned above, you can access this service without having a Gmail account (the system supports many different ESP’s including, Yahoo, Microsoft, and more). But if you have a Gmail account and don’t mind using it, I’d suggest you do that, as it can help you sync your alerts with other Google services. Step 2 – click on the search bar that appears on top of the page. Enter the keywords and terms that interest you. After that, click on the banner that reads “more options” to go to a menu where you can add additional criteria to your alert markers. This way, your search will become more precise and your needs will be perfectly suited. • Whether to monitor every single mention on the web for your search queries or narrow it down to the more generic places such as news, blogs, posts etc. Want some extra pro-tips? Ok, then! It’s important to realize that Google Alert can’t magically boost your sales or take your business to the next level. This is something that only you can make happen. What Google does, is to lend a helping hand as you use all the available resources to grow your business. Recognize Google Alert for what it is: a part of your awesome well-balanced sales and marketing strategy. Less than a central part of your plan of action, but more than just a means to an end, Google Alert can do wonders if used wisely. With Google Alert by your side, you can stop worrying about being kept in the dark. All the things that matter to you, everything that happens in your line of work will be just a click away. This is Sathish Arumugam, founder of Traffic Crow and SGS Mediasoft. I am a professional Blogger, Web Designer, Trainer and a Digital Marketer. I am glad to share my ideas and expertise about SEO, WordPress, Blogging and Digital Marketing.